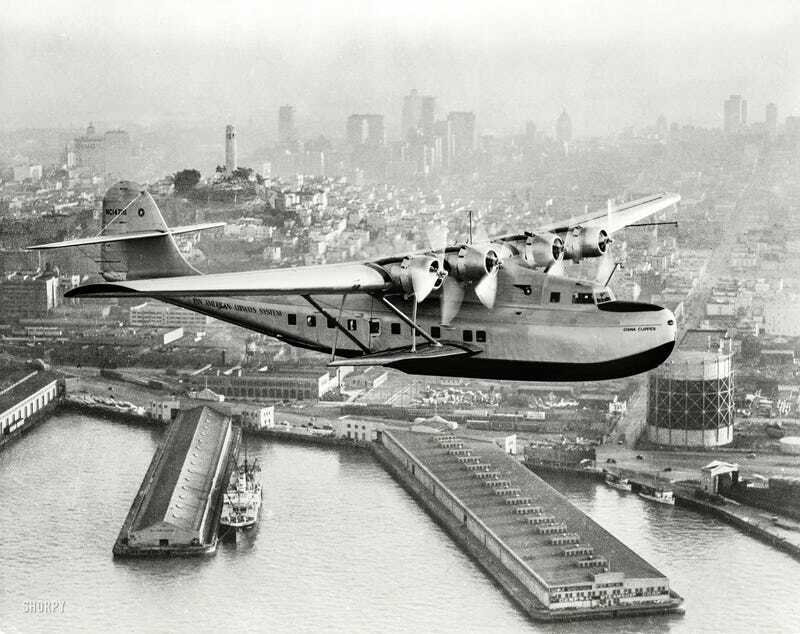 Martin built a total of three M-130s in 1935 for Pan Am, and the others were named Hawaii Clipper and Philippine Clipper. In 1935, China Clipper carried the first airmail across the Pacific and, starting in 1936, the Martin flying boats began service from San Francisco to Manilla, with stops at Hawaii, Midway Island, Wake Island, and Guam. However, all three Clippers were lost by 1945. Hawaii Clipper disappeared on a flight from Guam to Manilla in 1938 with the loss of 15 passengers and crew. Philippine Clipper arrived at Wake Island on December 8, 1941 while the island was under attack by the Japanese, but was unscathed. Two years later it crashed into a mountain in California killing 19, including Rear Admiral Robert English, commander of the US Pacific submarine fleet. And, in 1945, China Clipper broke apart and sank after a hard landing landing in the West Indies with the loss of 23 passengers and crew. For more stories about aviation history, aviators, and airplane oddities, visit Wingspan.